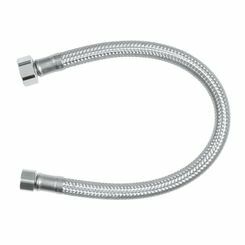 When you shop PlumbersStock, you have access to all the best hose clamps and pipe clamps for completing your plumbing and/or HVAC installations. We have a huge selection of hardware solutions, no matter what type of project you face. The right tools will help ensure that you install a configuration that is built to last and withstand heavy usage. Hose and pipe clamps shouldn't have to be replaced very often, as long as you don't skimp on quality and install correctly. 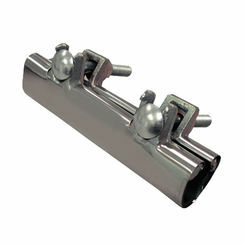 When you choose PlumbersStock, you choose the best in discount hose clamps. Browse through hundreds of wholesale options. 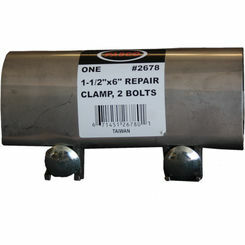 We carry hardware from the best names in pipe clamps (JCM Industries, Sioux Chief). 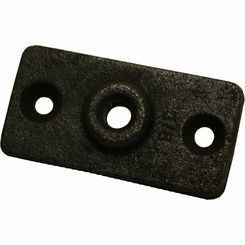 If you are looking for pipe straps and nail plates, we have those too. 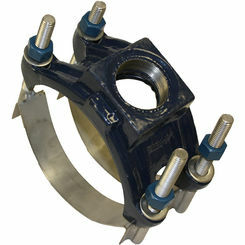 Pipe clamps are similar in that they are used to connect a pipe to a pipe hanger assembly. While pipe clamps are mainly recommended for suspension for cold pipelines, they’re also commonly used in woodworking. 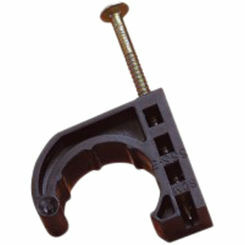 In woodworking, pipe clamps are used for edge gluing—joining several boards edge-to-edge to produce a wider surface. In these instances, pipe clamps will be set up on a workbench so the clamping pressure can be evenly applied along the boards being joined. 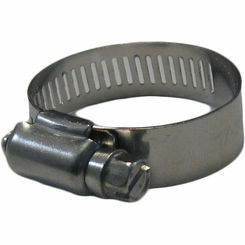 Pipe clamps are usually made of commercial “jaws” and a length of threaded pipe. 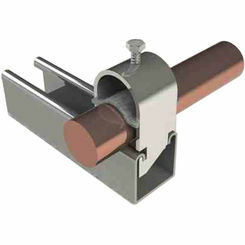 The strength of the clamp is determined by the length of the pipe used. 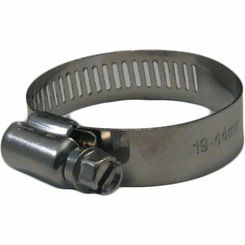 Hose clamps are products used to attach and seal a hose onto a fitting. 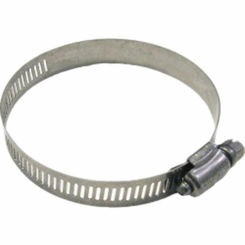 Hose clamps are used mainly for HVAC and plumbing applications, and they resemble thin steel bracelets. 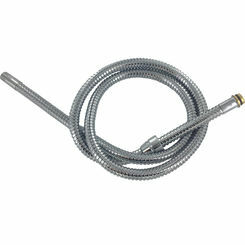 Hose clamps work by sealing a hose onto a fitting through a barb. 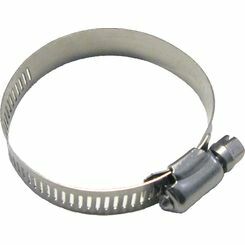 There are a few different types of hose clamps including screw clamps, spring clamps, wire clamps, and ear clamps. 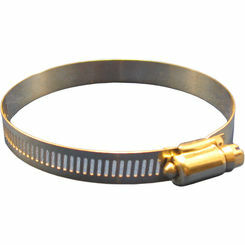 There are different types of hose clamps used for different applications. Knowing the difference between these types can ensure you choose the correct one when installing it onto your hose or project. We don’t necessarily carry all of these, but at least the info will get you on the right track. Screw Clamps – Screw clamps are made of galvanized or stainless steel bands into which a screw thread pattern has been pressed. 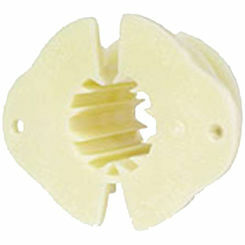 One end of the band houses a captive screw which can be turned once the loose end has been fed through the space between the band and captive screw. When the screw is turned, it causes the band to tighten around the hose and create a tight seal. 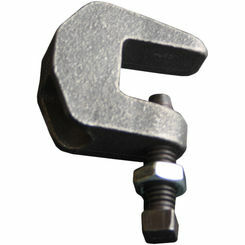 Spring Clamps – Spring clamps are unique as they’re mainly used for creating seals on automotive fuel lines. 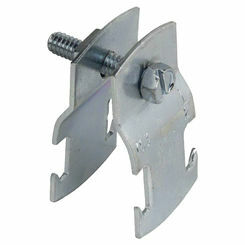 Spring clamps are made from spring steel that has been cut so that one side has a narrow protrusion centered on the end and the other side has a pair of slim protrusions on each side. 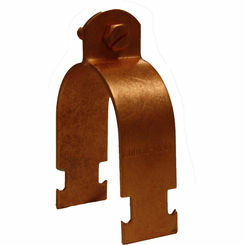 These clamps are rarely used for large or high-pressure hoses and are most often seen on automotive cooling system hoses. 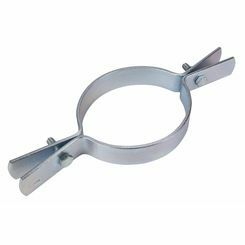 Wire Clamps – Wire clamps consist of a piece of heavy steel that has been bent into a tight U and then formed into a ring shape with the ends bent outwards and cut. 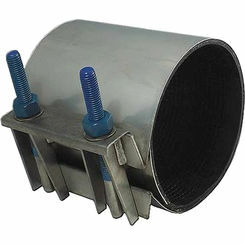 This kind of clamp is not seen in HVAC systems but rather on radiator hoses under the hoods of vehicles. 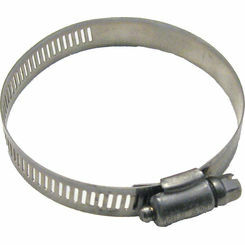 Ear Clamps – Ear clamps are made of a stainless steel band into which one or more closing elements have been created. 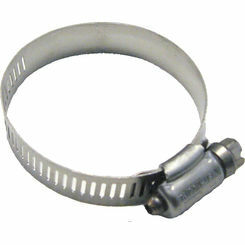 This clamp is placed over the end of a hose or tube and when each “ear” is closed it deforms, causing the band to tighten. Because of the obvious “ear” deformity, this band is easy to tell when tampered with. 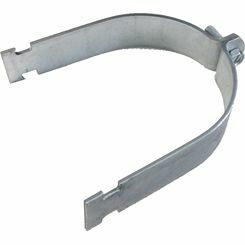 This clamp is best used for thin-walled hoses and should not be used for vehicles. With our wide selection of hose and pipe clamps, it can be overwhelming knowing which one is the right one to use in your application. If you need help searching for the perfect hose or pipe clamp, contact our expert customer service team through chat, phone, or email and let us guide you in the right direction while answering all of your questions. Whether you’re looking for a particular hose clamp or a specific length pipe clamp, we’re sure to have what you’re lookingfor in our large selection.